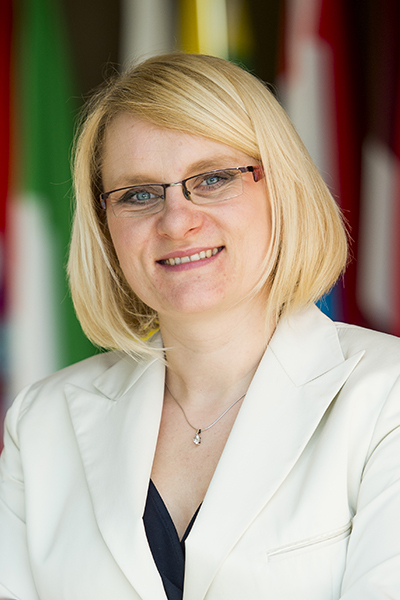 Ms Herbowska started her career in the European Institutions in 2005, in the Secretariat General of the European Commission. She then held the post of Coordinator for European Parliament at the Commission's DG JUST. She went on to work for the European Parliament, where she coordinated the parliamentary hearings of new Commissioners in 2014 and where she was also responsible for the European Citizens' Initiative. 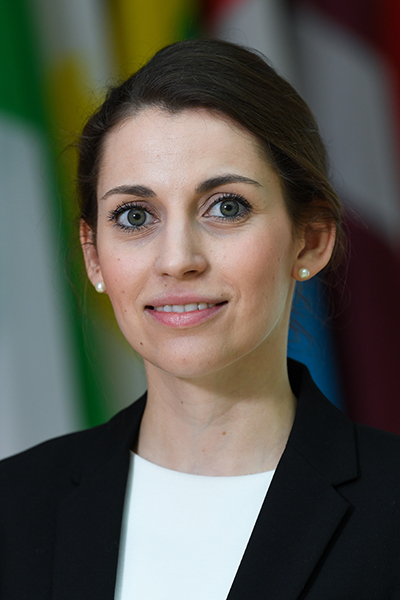 In 2015, Ms Herbowska returned to the European Commission to take up the post of Deputy Head of Cabinet of Commissioner Tibor Navracsics and later to deal with Knowledge Management as a Deputy Head of Unit at the Commission's Joint Research Centre. 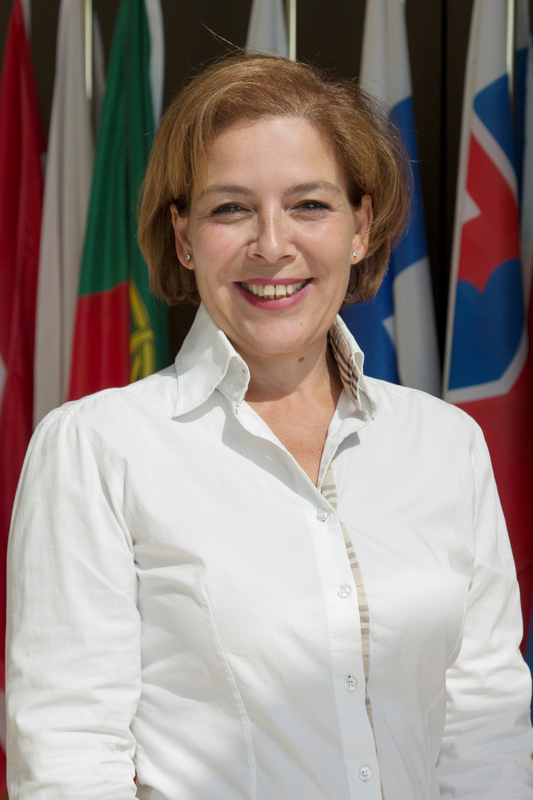 In 2018, she joined the EESC as the President's Head of Cabinet. 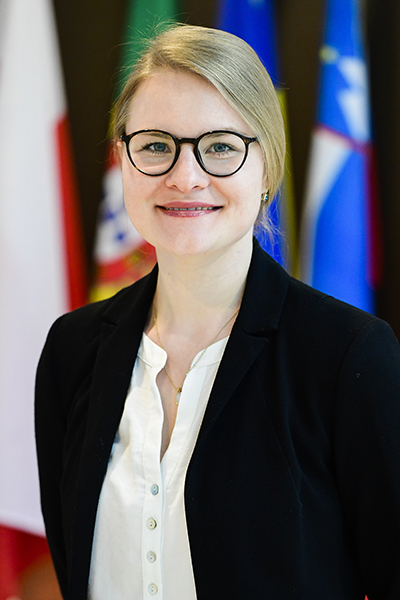 Ms Herbowska was educated at the Poznan University of Economics and Exeter University (Erasmus Double MA degree) and the European University Institute in Florence. In her free time she enjoys dancing tango argentino, practicing yoga and meditation. Mr Martinelli worked as adviser to the Confindustria's Delegation in Brussels in 1989, where he was responsible for social policy, the Social dialogue and the relations with BusinessEurope. He joined the European Commission in 2000, where he started in Directorate General Employment and social affairs (DG EMPL). He has held different positions in DG EMPL, in Directorate General Justice and in the Secretariat General, including a short spell in Commissioner Vladimir Spidla's cabinet, where he was responsible for the social dialogue. His last post in the Commission was in the Social dialogue Unit, where he was responsible for some sectoral social dialogue committees. Mr Martinelli has also advised specific member states on the European semester strategy. He holds a graduate degree in Economy from Milan's Catholic University. Mrs Vincenti has led the pan-European media network EURACTIV as editor-in-chief for 10 years. She joined EURACTIV in 2008 as parliamentary editor, leading the coverage of the European elections and managing 33 professionals across Europe. She worked as a journalist for more than 25 years in Italy, the United States and Germany, where she was the financial correspondent for Italian daily Il Messaggero. 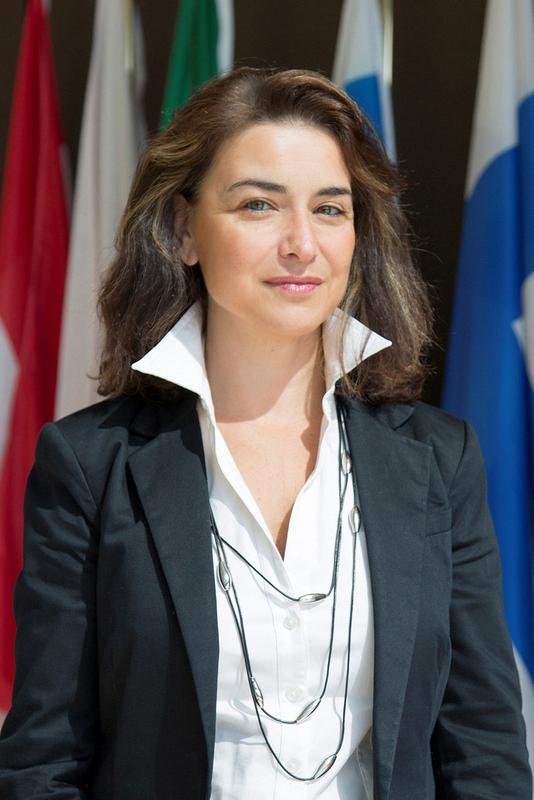 Upon her arrival in Brussels in 2002, she developed the communication activities of the Platform of European social NGOs (Social Platform) and in 2007 joined Paris-based think-tank Notre Europe to promote the first pan-European deliberative poll (Tomorrow’s Europe). She was educated at the Sorbonne in Paris and Columbia University’s Graduate School of Journalism in New York. After an initial post as an intercultural consultant for a research project in the Apuseni-mountains of Romania, Mrs Heid began her career at the Franco-German Youth Office in Paris. She then worked for the German Youth Ministry’s Department for International Youth Policy, for IJAB, the International Youth Service of the Federal Republic of Germany, as well as for the Council of Europe. 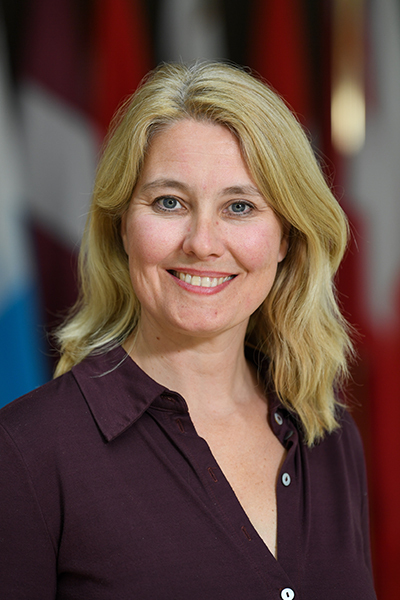 At the Council of Europe's Youth Directorate, Mrs Heid was responsible for “all different – all equal” campaign activities, in addition to organising conferences and workshops on refugees, diversity issues and inter-religious dialogue. She then spent six years as co-director of RESEO, the European Network for Opera and Dance Education. Formerly an elected member of Culture Action Europe’s Executive Committee, Katherine joined Culture Action Europe's team in 2015 as Head of political development and then became Acting Secretary General. 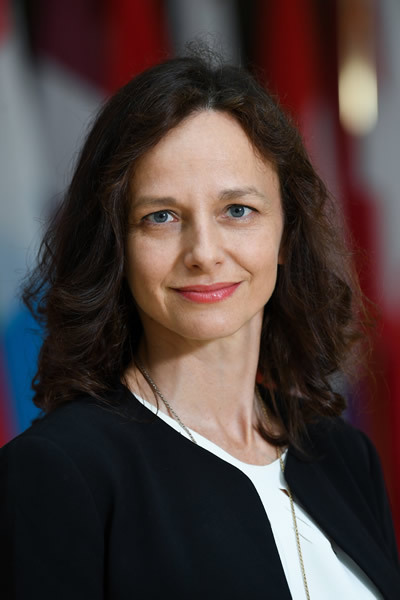 In 2018, she joined the European Economic and Social Committee as Member of Cabinet. A German and British national, Mrs Heid holds a graduate degree in psychology and political sciences, specialising in intercultural and neuropsychology. She is a former professional dancer and her passion for culture and for re-thinking communities has driven her career in the arts, intercultural exchange, youth and European politics. 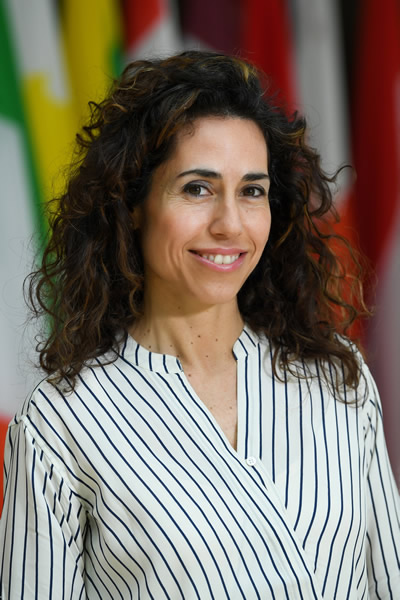 Daniela Rondinelli served as EESC Member of the Workers Group between 2010 and 2015, Vice President of the Group (2013-2015) and Member of the EESC President Cabinet (2015-2018). Since 1992, Mrs Rondinelli was policy officer for International and European relations to the Italian Trade Union Federation of commerce, tourism and services affiliated to the Italian Confederation of Workers (CISL). She was responsible for negotiating Italian collective agreements at the sectoral and company level. She was also a member of the European trade unions delegations within the European social dialogue and European Works Councils. Member of the Executive Boards of the International and European Trade Union Federations (UNI, UNI-Europa, EFFAT, UITA) and Vice president of UNI-Europa (1998-2003). Co-founder and Board member of Amerigo, the Alumni association of the International Visitors Cultural Exchange Programme of the US Department of the State. 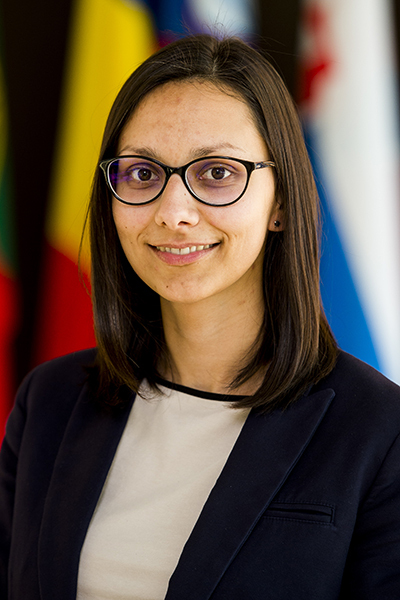 First generation Erasmus student in Leuven, she holds a master's degree in Political Sciences from the LUISS University of Rome.